There's something intimidating about reading literature in translation. I tend to avoid novels not originally written in English because, as an egocentric American, I always expect them to be a lot of work. I mean, the translator is only going to do so much to help. You'll still have to deal with unfamiliar geography, brand names, and political figures. Sometimes it can be hard to tell if a character's behavior is noteworthy in a literary way or if it's just the cultural differences talking. And it's difficult to get into a good reading flow if every time the main character's unpronounceable name comes up, you're trying to sound it out in your head. But I'm starting to realize (I'm late to the party, I know) that to be a good citizen of the world, I need to step outside my insular Midwestern bubble once in a while and walk around inside other people's lives. I'm actually getting tired of reading only books by and about people like me. Who'd have guessed that staring into a mirror day after day would get old? 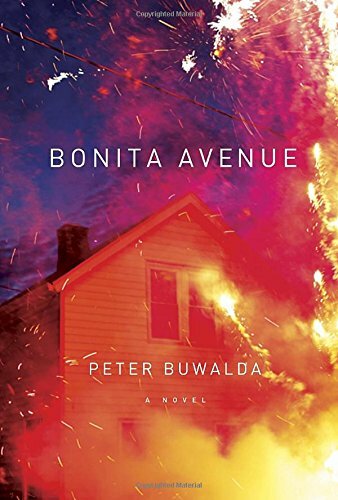 So I gave Bonita Avenue a chance, even though the fact that it's translated from the Dutch made me a little nervous. And this will surprise no one but me: I really liked it! It's dark and twisted and shocking and gruesome and...well, a really addictive reading experience. Siem Sigerius is renowned for his studies in mathematics. He lives a quiet, comfortable life as the head of a university. He has a stable marriage and two lovely stepdaughters. (Underneath that picture-perfect setup, can't you feel his past starting to rear its inevitable, ugly head?) Everything he's built is threatened when he discovers one of his stepdaughters, Joni, has a very lucrative—and very unsavory—secret profession. Complicating matters are Joni's mentally unstable boyfriend and Sigerius's own son, whom he abandoned as a child and has grown into a violent criminal. Sigerius has professional aspirations that could be compromised if the truth about his family gets out, and this combined with the weight of the guilt over his responsibility for his children's choices turns the eminent scholar into someone he barely recognizes. In a way my expectations were fulfilled, in that this book does present a bit of a challenge. The narrative shifts frequently between different characters' perspectives and different time periods. Considering the story isn't told in simple chronological order, I was amazed at how much suspense I felt going into the final chapter. I already knew what awaited Sigerius—previous chapters had told me, in no uncertain terms—but I was dying to know how he got there and what he could have possibly been thinking. And the crashing, thundering conclusion does not disappoint. With regards to Crown Publishing and NetGalley for the advance copy. On sale in the US January 13 (that's today! ).